Being a radio nerd who’s trying to spend more time outdoors, I’ve figured out a good way to kill two birds with one stone: hiking up hills with radio towers on them. Since the towers tend to be atop hills or mountains overlooking the surrounding community, they often have pretty scenic views. Today was an almost completely cloudless day, so I decided to cross Baldpate Hill in Georgetown, MA off my list. (Note that the cover image on that page is not from Baldpate! I was disappointed.) I never did find the “fire road” on Spofford Street; I’m pretty sure it does not exist. The only way I’m aware of to get where I went—plainly the same place on the map as that site depicts—is via an access road on Baldpate Street just before Baldpate Hospital. I expected a fairly scenic summit with panoramic views, but it was nothing of the sort. 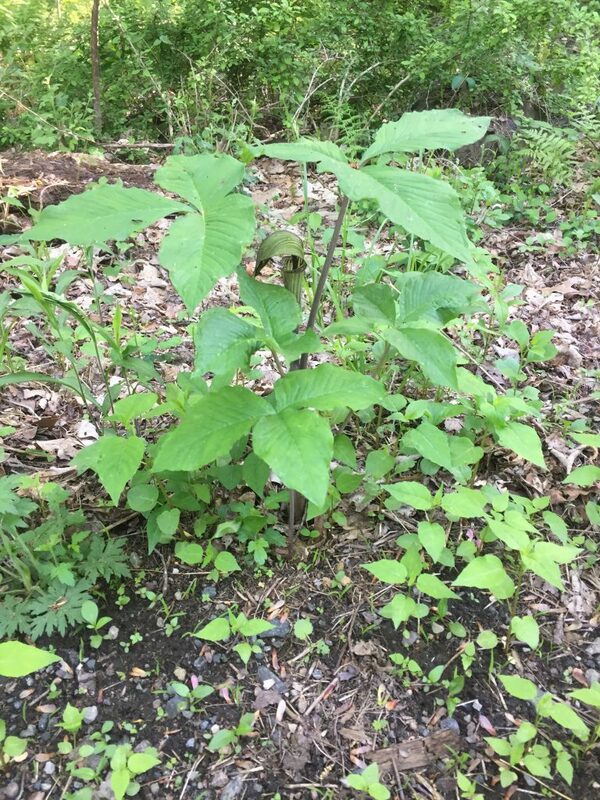 Baldpate has dense foliage, and lots of poison ivy that discourages you from venturing off-trail. (And by trail, I mean the dirt road.) Really all there is to see are a few towers and some plants. 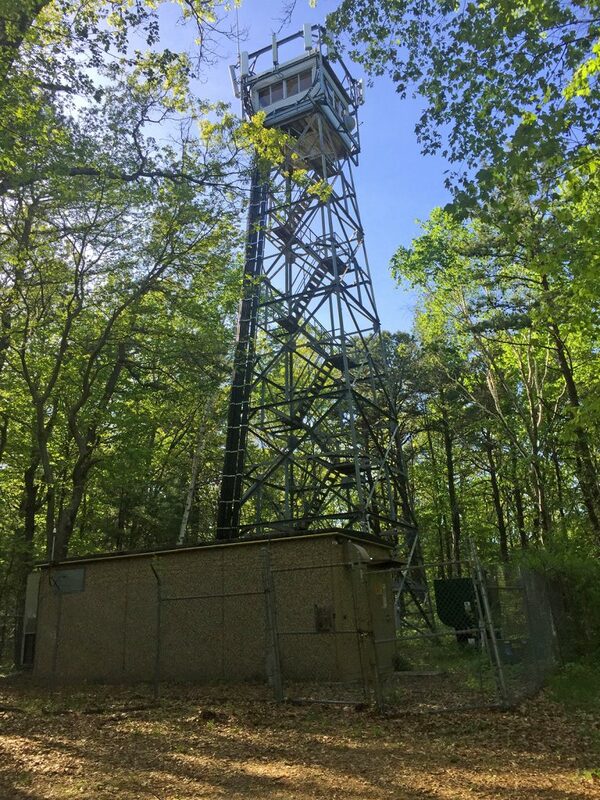 A fire tower atop Baldpate Hill converted into a cell tower. At least, it was a fire tower. It’s now fenced in and loaded up with cellular antennas. I should have grabbed a picture of the feedline; though I knew they used low-loss coax due to the high frequency and low-power handsets they’re trying to receive, I guess I never really appreciated multi-inch-thick coax until I saw it in person. Between the “fire tower” and the water towers lies the communications tower. It’s about 250′ tall, and posted as ASR 1004094. 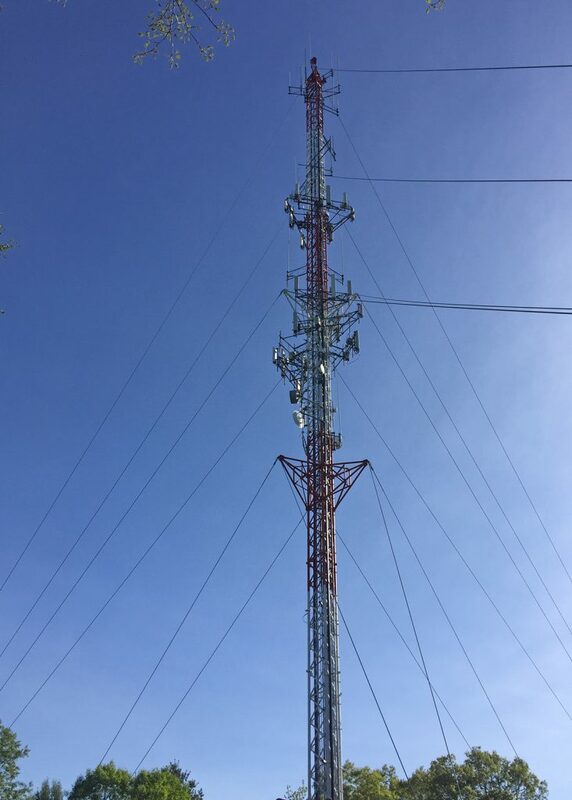 ASR 1004094, an 80m tall tower atop Baldpate Hill in Georgetown. The tower is listed as being owned by New Hampshire Public Broadcasting, which is odd because, as far as I can tell, they have no presence on the tower. It looks like it’s just cellular, land-mobile, and microwave. Some licenses near the top of the tower list a height above average terrain (HAAT) of about 450′, so the hilltop itself must be about 200′ above average terrain. With the tree cover, though, there’s nothing really to see. I do wonder what the views from the fire tower would be like if it were open. 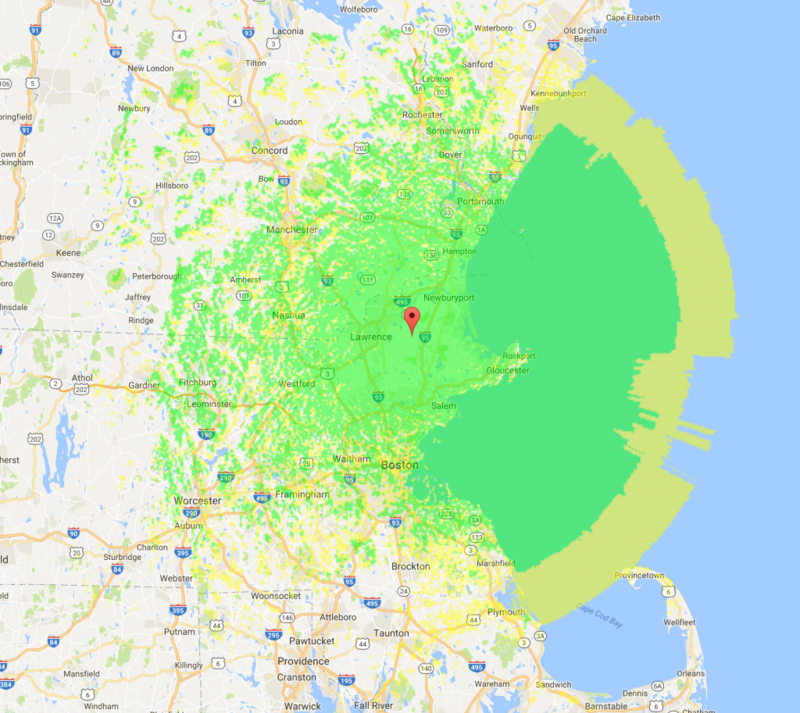 Playing with the excellent Radio Mobile Online, here are projected coverage maps from the site. There are, tragically, no ham repeaters up there to the best of my knowledge, but here’s what coverage would look like. Both maps are based on being almost at the top of the tower (80 meters), 30W out of the transmitter, 1.5 dB loss, and 6 dBi antenna gain, for about 85W ERP. Modeled for 70% reliability. 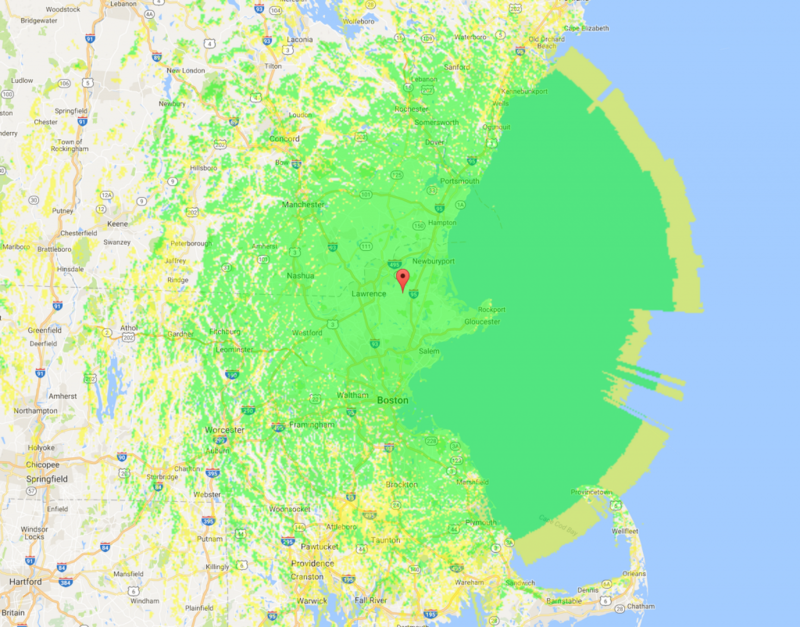 There are, in fact, no 2m of 70cm ham repeaters in Georgetown at all, according to the New England Repeater Directory. Much of the stuff actually on the tower appears to be T-band and 900 MHz SMR/LMR, though a lot of it is licensed for 300W – 1kW ERP. 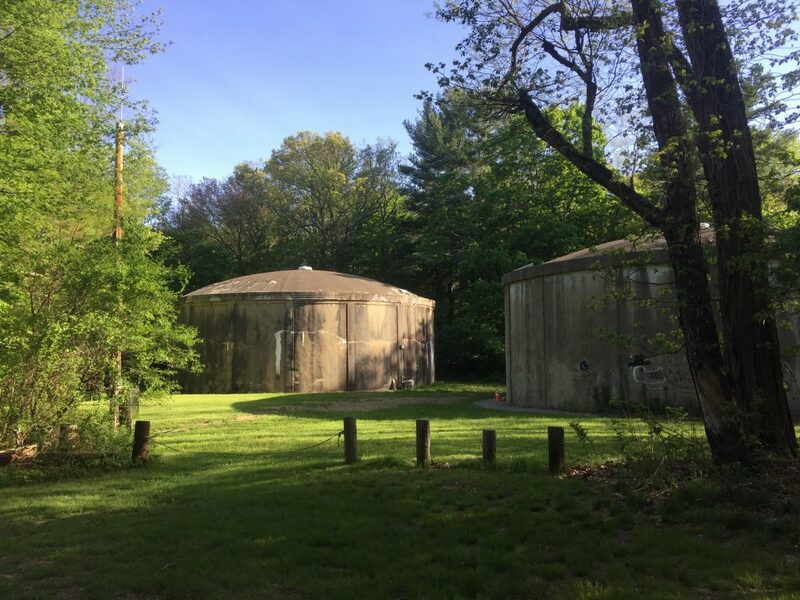 Other tenants, according to the FCC database, include Georgetown and Boxford public safety, Northeast CMED, an ambulance provider, and a few others. BTW: I failed to bring my “real” camera along, but was pleasantly surprised by what the iPhone camera could do. I used Photoshop to lighten up the shadows on the tower photos, but otherwise these are straight out of a cameraphone. 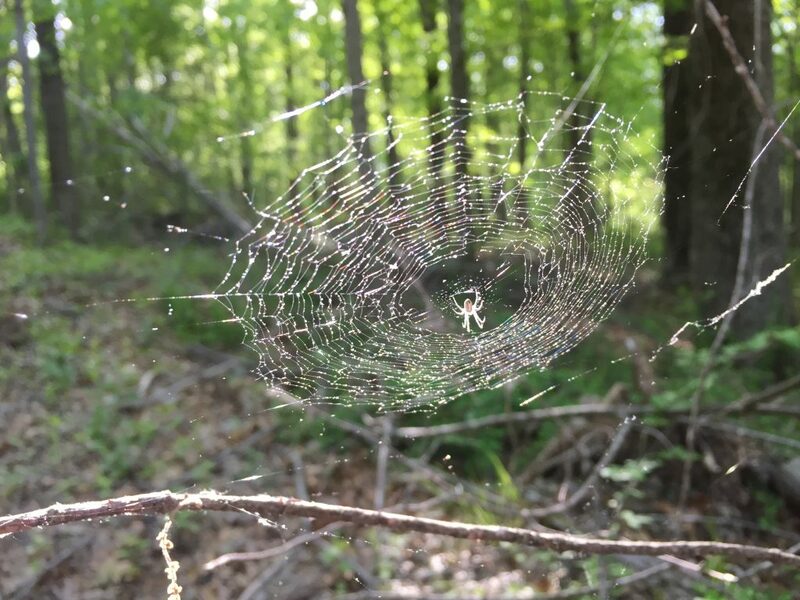 This entry was posted in Ham Radio, Photography by n1zyy. Bookmark the permalink. The fire tower is still open on high fire danger days. I use to work in that tower and the one in Andover.